Does Your Electrical System Need to be Updated? When Should You Make Electrical Upgrades? Your home electrical system may not be something you think about very often. In fact, many people don’t think about their electrical systems unless they need to replace a fixture or install an outlet. However, it is a very good idea to maintain your electrical system and periodically question if there is a need to upgrade your panel, appliances, electronics, light fixtures, outlets, or anything else that is electrical in your home. The electrical panel is the hub of all the electricity in your home. It is a central location where the power for your entire home is distributed to all things that use electricity, such as air conditioning and heating units, lights, outlets, appliances, and so on. 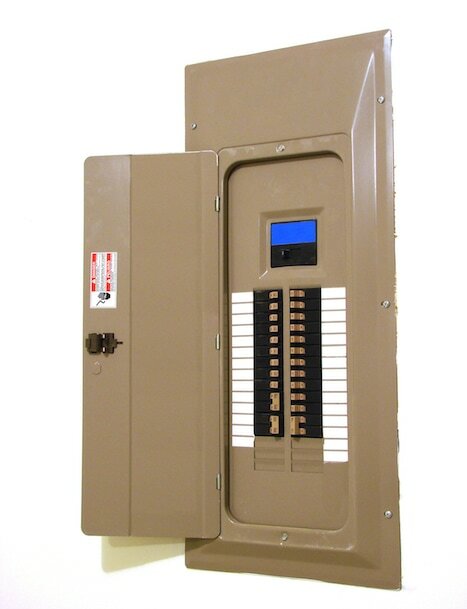 It is important to replace the electrical panel if it is damaged or antiquated. You may also need to replace the panel if you are updating rooms, such as a kitchen or bath, or if you are building additions to your home. It is dangerous to overload circuits; therefore, it is imperative to check your panel if you are making changes to your home. Another reason you may decide to replace the electrical panel is if you need more power in your home. There are several levels and qualities of electrical panels, so it is a good idea to compare different varieties. The panel does not affect the existing wiring throughout your home, but it distributes and regulates the power that is brought into your home. The more electrical devices you have, the better the panel you will need to install. The prices vary on replacing an electrical panel, and can range from a few hundred dollars to a few thousand dollars. Since working with electricity is not a project that the average person should complete themselves, it is best to shop around for a qualified, competent electrician. A bonus to your decision of updating an electrical panel, appliances, lights, or outlets is that safety standards are constantly improving. You will be comforted in the knowledge that replacing older electrical equipment with newly manufactured equipment will provide you and your family with the safest equipment available. Questionable outlets should also be updated, if you have safety concerns about them. Damaged or obsolete outlets should be replaced by your electrician. If any of the outlets seem loose or wiggle, it may also be time to replace them. A qualified electrician can decide the best solution to your problems. It is important to take care of your home’s electrical system for many reasons, but the main reason is that you want to make your home safe for you and your family. With the help of a professional electrician like Advanced Electrical Company, you can provide the safest home possible with the completion of home electrical inspections and updates, as needed.